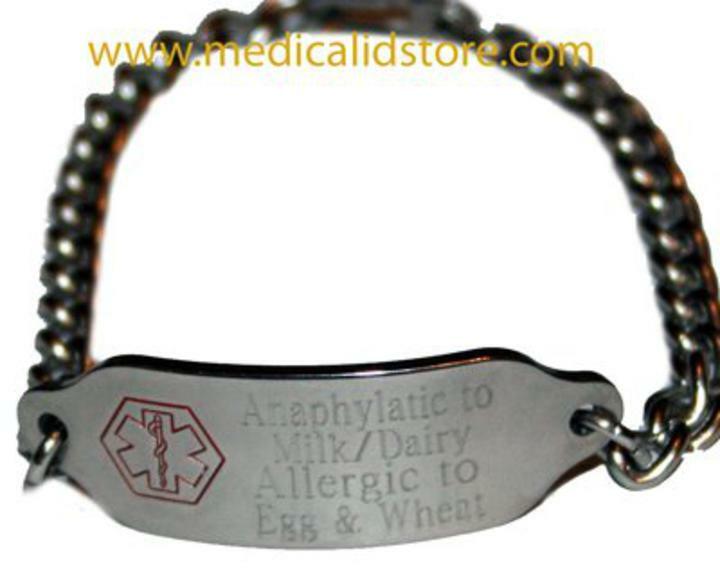 Our simple classic style stainless steel medical id alert bracelet is great for those that prefer a simple classic style medical id alert bracelet. The tag measures 9/16 x 1 3/4" and is stainless steel with a stainless steel chain. This can be custom engraved with 3 lines on both front and back. Available in size 5 to 7.5 inches.